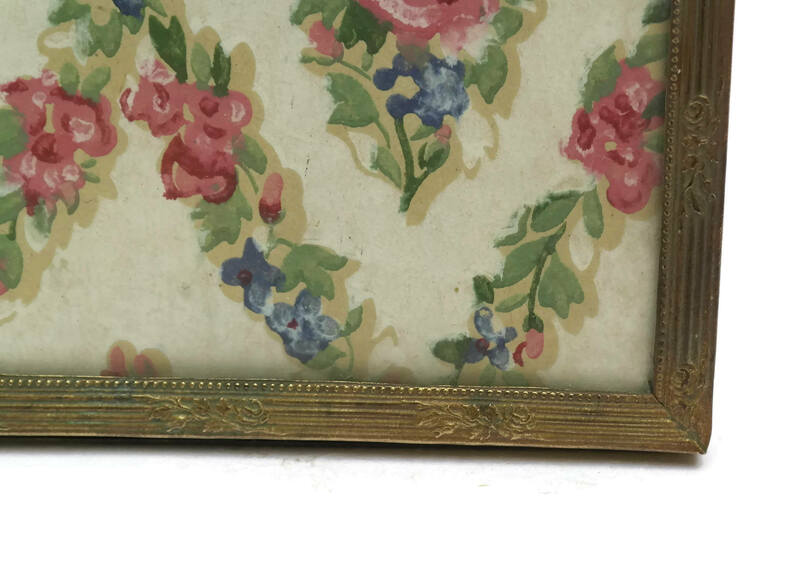 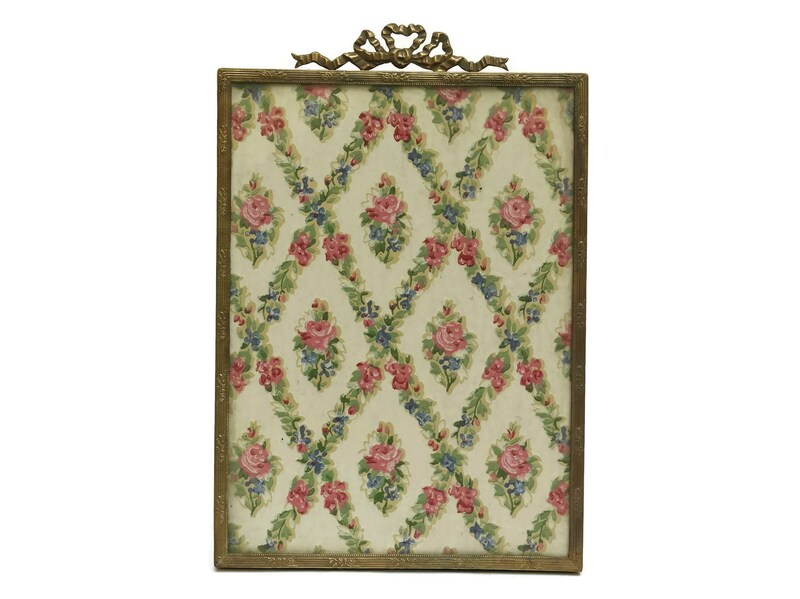 This charming antique French photo frame dates to the early 1900s. 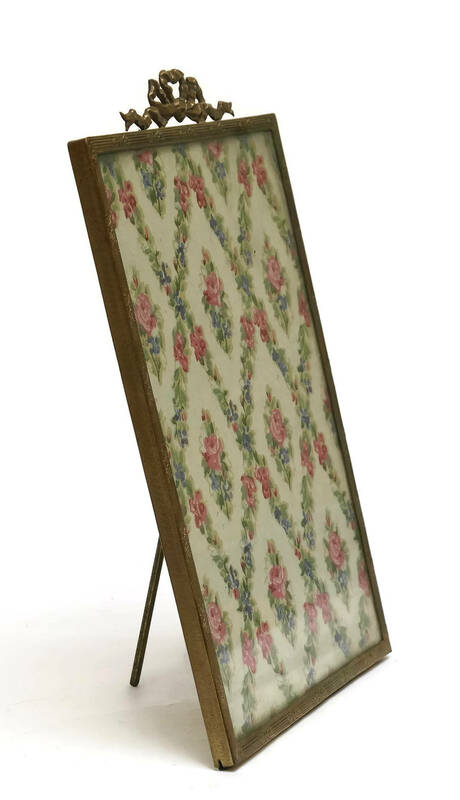 It is a relatively large size for displaying portrait photographs. 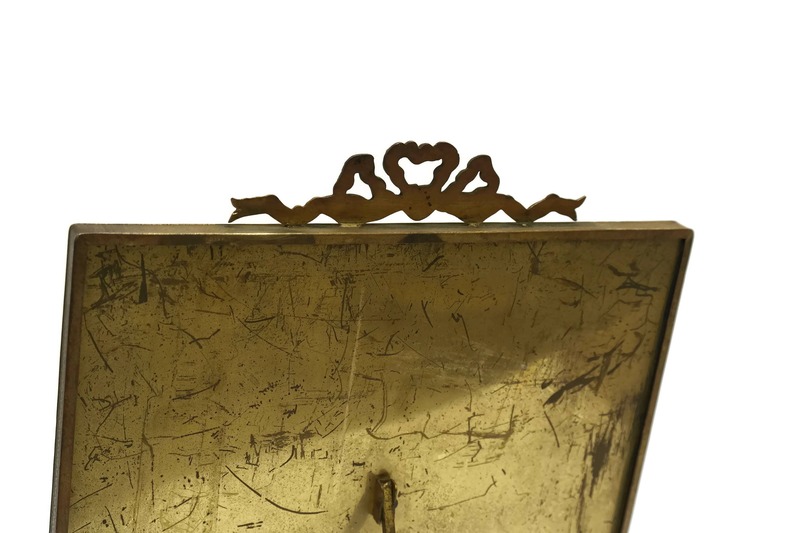 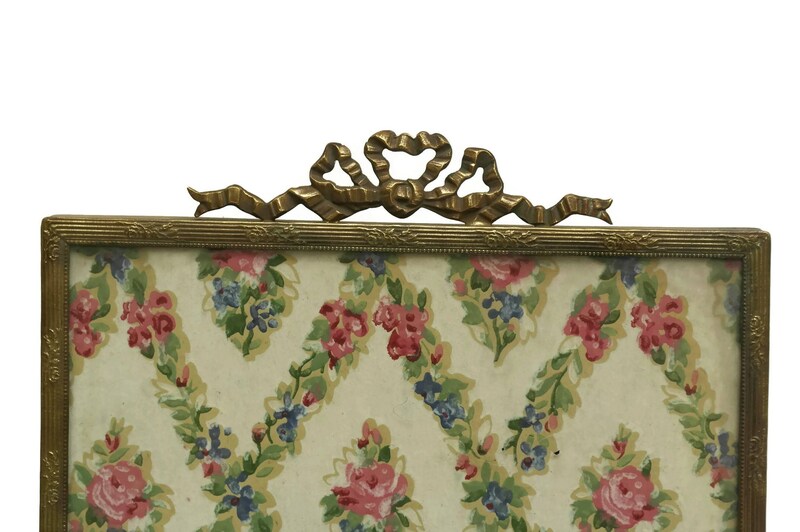 The brass frame features an ornate design with a beautiful ribbon motif on the top. 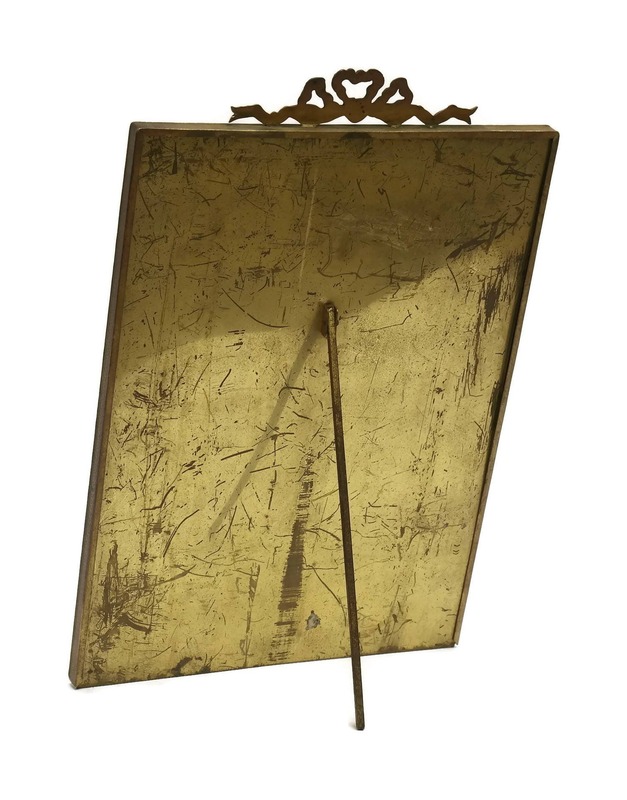 There is an adjustable stand on the reverse side. 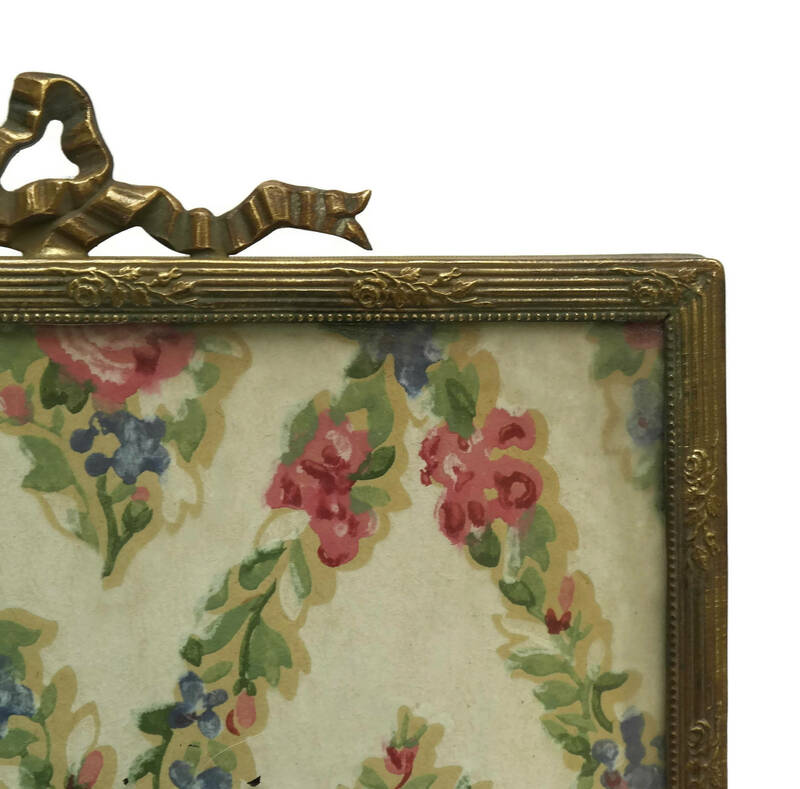 The front has been covered with a glass panel and the interior has an insert of antique rose-printed wall-paper. 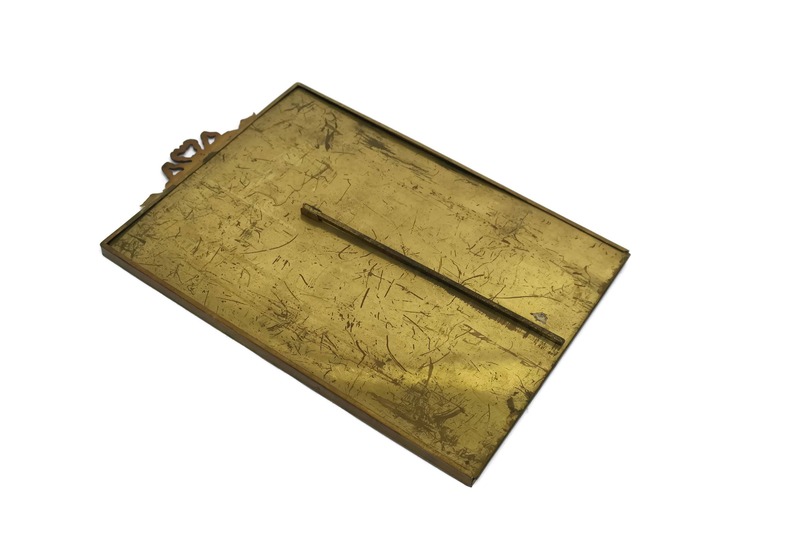 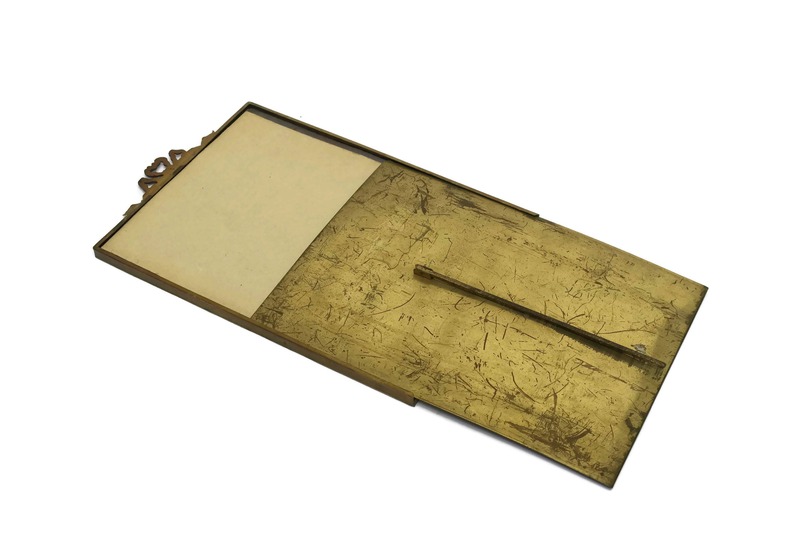 The antique brass photo frame is in good condition with age-appropriate wear including patina to the metal. 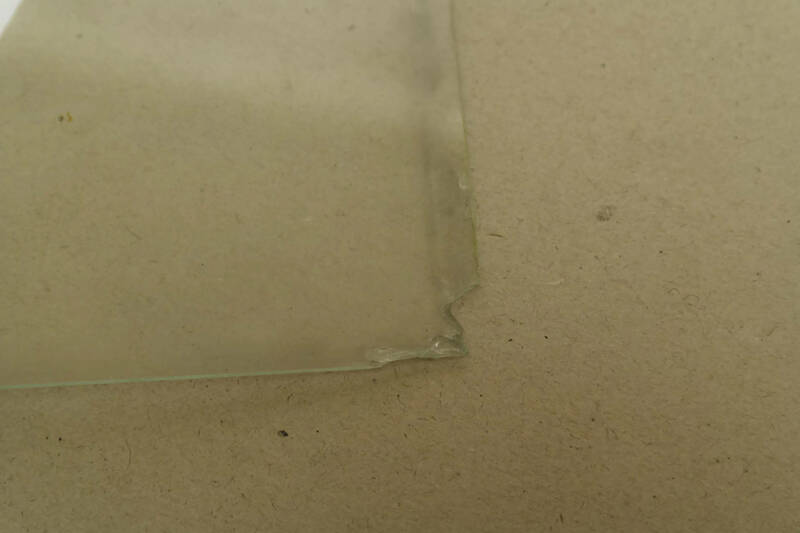 There is a small chip to one corner of the glass that is not visible form the front.